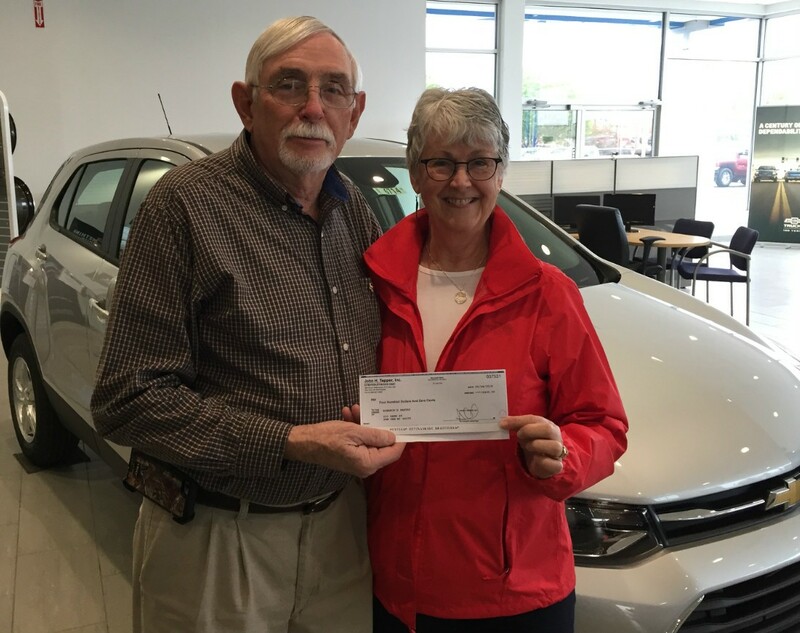 Don Brown of John Tapper Automotive presents a $400 check, from their “Refer a Friend Program,” to Nellie DeLong of Eleanor’s Pantry. In addition to each receiving $200, customers participating in this program choose one of three charities to receive a $100 donation. This quarter, Eleanor’s Pantry was chosen 4 times. Thank you!